This threat comes at a time of popular discontent over the region’s chronic economic weakness, caused by Germany’s austerity policies and the straightjacket of the euro monetary union. The region has been further buffeted by the rise of right-wing parties, confrontations with Russia over Ukraine and NATO expansion, and the potential withdrawal of the United Kingdom from the E.U. In short, Europe faces a perfect storm. Yet remarkably few voices are stating the obvious: The crisis isn’t simply caused by foreign extremists bent on destroying Western values. Like Br’er Rabbit, Europe punched the Middle Eastern tar baby repeatedly, only to become hopelessly stuck. Whether Europe will prove as wise as its folkloric counterpart and find a way to get free remains to be seen. The crisis in the E.U. has many self-inflicted causes. One was President George W. Bush’s catastrophic invasion of Iraq in 2003, which was opposed by France and Germany but supported most notably by the British government. That war gave birth to ISIS, whose bloodthirsty tactics now bring terror to millions in Europe as well as the Middle East. The Iraq War also drove 1.2 million refugees into Syria, ravaging its fragile economy and helping to trigger the outbreak of war in 2011. Another contributor to E.U.’s crisis was the equally catastrophic NATO intervention in Libya in the spring of 2011. It was demanded most adamantly by the French government, with support from London and Washington. The intervention opened a major arms pipeline into Syria and propelled hundreds of thousands of North African refugees — including jihadists — into Europe. Perhaps the single biggest cause of the Europe’s current crisis was the fateful decision of U.S. and European leaders to demand that Syrian President Bashar al-Assad “step aside” in the face of escalating attacks by rebels, many of them extreme Islamists. Prime Minister David Cameron of Britain, President Nicolas Sarkozy of France and Chancellor Angela Merkel of Germany joined Obama in making that demand in August 2011, just a few months after violence erupted between Syrian security forces and protesters. The alliance of Washington and major European capitals did not topple Assad but it severely weakened his regime, creating space for the rapid rise of disciplined Islamic insurgents — as experts warned from the beginning. The European Union contributed to this outcome by imposing tough economic sanctions on Assad’s government — while approving purchases from Syrian oil fields controlled by Jabhat al-Nusra, the powerful Al Qaeda affiliate in Syria. Some E.U. nations also joined Washington in covertly arming radical rebel groups to overthrow Assad. Leading them was Syria’s former colonial master, France. Last year, President François Hollande himself finally admitted that France began delivering weapons to Syrian rebels in 2012 — in violation of international embargoes and contrary to the French government’s public claims. The weapons included machine guns, rocket launchers, anti-tank guns and artillery, helping to turn Syria into a giant killing field. The United Kingdom reportedly also provided covert military aid to rebel forces as early as November 2011, when British special forces allegedly met with Syrian guerrillas to assess their training needs. British intelligence services based in Cyprus provided timely news on Syrian government troops movements to help opposition fighters win tactical victories. In 2013, the Independent reported that the British government had sent more than $12 million in “non-lethal” aid to Syrian fighters, including armed vehicles, body armor, trucks and SUVs, and satellite communications systems. Last but not least, in 2015 France and the UK joined the United States in bombing Islamic State targets inside Syria — without permission from Syria’s legally constituted government. 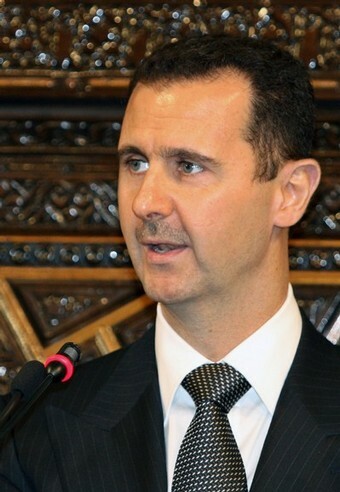 France had earlier demanded Western military action following a use of chemical weapons near Damascus in August 2013, which Western governments widely blamed on the Assad regime. However, President Obama balked when U.S. intelligence failed to confirm the culprit and Britain’s Parliament defeated a motion to approve military action. By mid-2015, the fighting in Syria supported by these Western governments had generated more than four million external refugees — a record from any single conflict in the past generation, according to the UN High Commissioner for Refugees. Including internal refugees, half of Syria’s population was uprooted by the violence. Rather than concede any responsibility for this tragedy, however, liberal interventionists in Europe blamed the humanitarian crisis on the West’s alleged failure to intervene. This popular narrative — echoed at home by liberal and neoconservative critics of President Obama — makes Europe out to be the innocent victim both of the refugee crisis and of ISIS-directed terrorism. Make no mistake — ordinary Europeans are innocent victims, and nothing excuses terrorist violence against them or civilians in the Middle East. But key European governments do share blame for triggering the devastating blowback from Syria. The Schengen Agreement on open borders lies at the very heart of the European experiment and is a precondition for the common currency, as German Chancellor Angela Merkel noted in January. But free movement is threatened not only by fear of terrorism, but by popular opposition to the huge influx of foreign refugees. 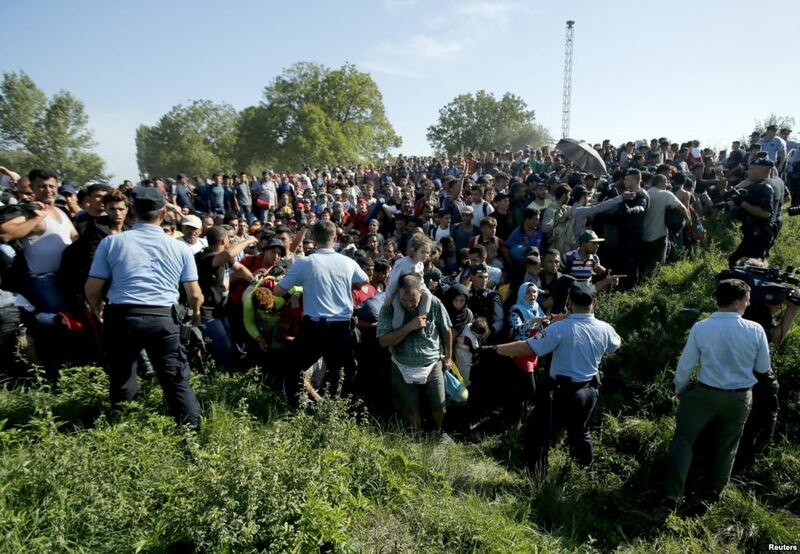 The mass movement of more than half a million refugees into the E.U. through Greece and the Balkans last year “precipitat[ed] a refugee crisis on a scale unprecedented since the end of World War II,” writes Kemal Kiri?ci, director of the Turkey Project at the Brookings Institution’s Center on the United States and Europe. Illiberal and far-right parties have made gains across Europe, from Denmark to Greece, and control the governments of Hungary and Poland. Ironically, in its desperation to prevent the refugee crisis from tearing apart Europe’s liberal regime, the E.U. recently struck an agreement with the notoriously authoritarian regime of Turkish President Recep Tayyip Erdogan to return migrants to Turkey — including promises to accelerate talks on making Turkey a member of the E.U. Most discussions of how to save Europe focus on short-term remedies, ranging from better intelligence sharing to beefed up border enforcement. But Europe will never overcome its crisis until it faces up to the root causes, including blowback from its neo-imperialist ventures in Africa and the Middle East. Moisi was wrong on all counts. The French government chose to intervene not for noble ends but for crude economic and opportunistic political motives, as Hillary Clinton well understood. And the result, as everyone knows, was anarchy in Libya, the unleashing of jihadists and arms across northern Africa and the Middle East, and the start of Europe’s refugee crisis. Western intervention in Syria was sold under equally fraudulent pretenses, with even more dire results. Now Europe must begin a serious debate — akin to America’s ongoing discussion of the Iraq debacle — over what price it is willing to pay for continuing to fuel wars and social upheaval in former colonial lands.